Unlike most fields, designing is not a nine to five job. Most designers live and breathe design every waking hour. Even after work hours, there are times when your mind is busy cooking up ideas for the next project that you discussed with your team. Sometimes you find inspiration while you’re out with friends or get some crazy ideas while you’re travelling. In times like these, if you’re serious about design, you regret not being at your desktop. You may get your hands on a paper and pencil if you’re lucky. Now wouldn’t it be awesome if you can quickly sketch these ideas on your iPad or your iPhone and tuck them away for later use. 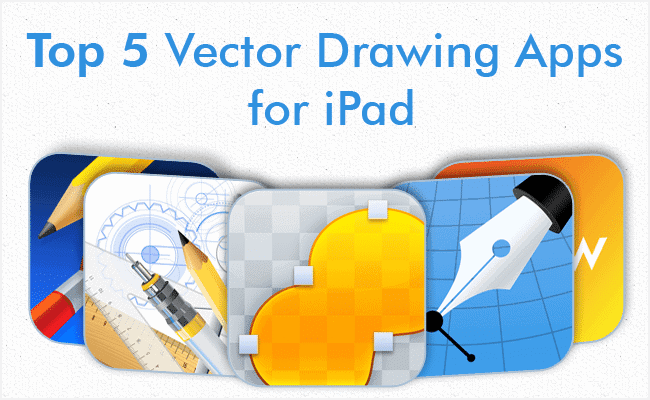 The top 5 Vector Drawing apps for iPad and iPhone are built for times like these. To make sure you are ready to start working on your designs right away regardless of where you are. If you’re a designer and an iPad or a iPhone user, having one of these Top Vector Drawing Apps for iPad installed on your device is a indispensable. This list of ‘Top 5 Vector Drawing Apps for iPad’ has apps which are loaded with all the essential tools to get you going with your design work. You'll be surprised to see how much these apps let you do within the constraints of the screen sizes of the device with their smartly designed User Interfaces. You will also agree that all these iPad apps for Vector Graphics are fairly priced for all the magic they hold. The iDraw app has all that it takes to get to the top of this list. This one is a pure Vector Graphic application which not only has the array of tools that you would expect as a Vector artist, but is also has a very user friendly interface. iDraw features all the basic shape tools like the rectangle, ellipse, polygon and star with all its required options. It has a line tool, brush tool, pencil and also a pen tool with its adjustable handles and anchor points. This works just as smoothly as pen tools offered in popular desktop vector applications. It has all the text editing capabilities and provides all basic transformations such as rotate, flip and scale. You can also align your elements using the align panel. This wonderful app provides color and gradient fills for your artwork with linear, radial and angle gradient as well. iDraw lets you import PDF and SVG from other vector applications which can be edited here. PSD too can be imported with editable shape layers and effects intact even after importing. You can export your files to SVG, PDF , PNG, JPG and PSD formats with low and high resolution settings. At $8.99 it’s a deal you don’t want to miss. Download this app here. iDesign is a full fledged Vector Application for iPad and iPhone. This is another great app to create professional quality illustrations and artwork. iDesign has all graphic creation tools with shape tools such as rectangle, circle, ellipse, polygon, star, polyline and the line tool with their relevant options. It also has the path tool with all of its options offered through a user friendly panel. iDesign also has advance Boolean editing abilities such as unite, subtract, intersect and exclude that come real handy and can save valuable time. It has Text creation and editing capabilities. It also has color and gradient fills with all the advance stroke editing features such as options for line width, corner joins and line caps. It has awesome transform and alignment options which make your creation work easier. This killer Vector app also autosaves copies of your work for you. iDesign lets you export your files to JPG, PNG, PDF and SVG. Priced at $7.99 you couldn’t ask for more. Get this Vector app here! 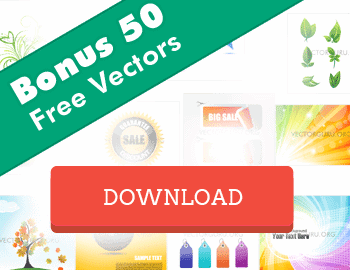 This app has just about everything you would want for in a Vector Graphic application. Freeform has a simple interface and is intuitive to use. In Freeform you can create most basic shapes like ellipse, rectangle, polygon and star with all its settings. You can group objects and apply basic transformations to objects or their groups. You can convert the shapes into path and also perform Boolean operations like union, subtraction, intersection and exclusion on them. With the color picker you can choose between solid colors and linear or radial gradients. Files created in Freeform can be exported to JPG, PNG and PDF formats. You can download this app for only $9.99. Inkpad is another great app for iPad and iPhone devices. Don’t let this apps clean interface fool you, it is capable of letting you do most of the Vector creation and editing work with ease. It has just the most important shape creation tools like ellipse, rectangle, line and the all powerful pen tool. It also has the Text tool with most basic formatting options. You can scale and rotate the shapes you create and can also perform Boolean operation on them. Inkpad also let you create layers which makes your artwork easy to edit and manage. You can hide, lock layers and also adjust the transparency of each layer. Inkpad supports linear and radial gradients and masking too. Your files can be exported to JPG, PNG, PDF and SVG formats. Surprisingly this amazing app is absolutely free. Get this app here. At first glance neuDraw appears as a software that has little to offer. With its clean interface and with just the essential functionality to offer this Vector app is lightweight yet powerful. And with some experience you can create some great artwork here. This is another very intuitive Vector creation app for iPad. In neu.Draw you can create a variety of shapes such as ellipse, rectangle, rounded rectangle, arrows, stars, polygons, spirals, clouds and speech bubbles too. You can use the freehand pencil and the line tool to create some awesome line art. neu.Draw provides grouping of objects and basic transformations such as rotate and scale. It has a gradient editor to color your artwork with HSB and RGB value support. The font picker lets you choose the font, color, size and its alignment as well. Once done, you can export your file to formats such as JPG, PNG, PDF and SVG. This Vector app for iPad is priced at a bottom price of $0.99. Download this app here. These powerful Vector apps for iPad and iPhone can help you create your designs and artwork on the go. Though designing and editing on the iPad or iPhone may not match the perfection we achieve on a desktop, it certainly is useful to save ideas that can be finished later if needed. And maybe with some practice, one can create perfect deliverables on these apps too. I hope you liked the list of Vector Drawing apps for iPad and if you aren’t equipped with one of these Vector apps, I suggest you download one of these right away. Subscribe to our newsletter to get updated on awesome Vector related stuff regularly.